What is PE, and What is it Used For? Polyethylene is a thermoplastic polymer with variable crystalline structure and an extremely large range of applications depending on the particular type. It is one of the most widely produced plastics in the world (tens of millions of tons are produced worldwide each year). The commercial process (the Ziegler-Natta catalysts) that made PE such a success was developed in the 1950s by German and Italian scientists Karl Ziegler and Giulio Natta. There are a vast array of applications for polyethylene in which certain types are more or less well suited. Generally speaking, High Density Polyethylene (HDPE) is much more crystalline, has a much higher density, and is often used in completely different circumstances than Low Density Polyethylene (LDPE). For example, LDPE is widely used in plastic packaging such as for grocery bags or plastic wrap. 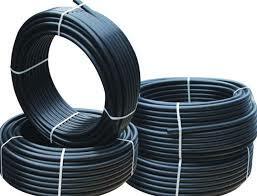 HDPE by contrast has common applications in construction (for example in its use as a drain pipe). Ultrahigh Molecular Weight Polyethylene (UHMW) has high performance applications in things such as medical devices and bulletproof vests. What Are The Different Types of Polyethylene? Polyethylene is commonly categorized into one of several major compounds of which the most common include LDPE, LLDPE, HDPE, and Ultrahigh Molecular Weight Polypropylene. Other variants include Medium Density Polyethylene (MDPE), Ultra-low-molecular-weight polyethylene (ULMWPE or PE-WAX), High-molecular-weight polyethylene (HMWPE), High-density cross-linked polyethylene (HDXLPE), Cross-linked polyethylene (PEX or XLPE), Very-low-density polyethylene (VLDPE), and Chlorinated polyethylene (CPE). Low Density Polyethylene (LDPE) is a very flexible material with very unique flow properties that makes it particularly suitable to plastic film applications like shopping bags. LDPE has high ductility but low tensile strength which is evident in the real world by its propensity to stretch when strained. Linear Low Density Polyethylene (LLDPE) is very similar to LDPE with the added advantage that the properties of LLDPE can be altered by adjusting the formula constituents and that the overall production process for LLDPE is typically less energy intensive than LDPE. High Density Polyethylene (HDPE) is a strong, high density, moderately stiff plastic with a highly crystalline structure. 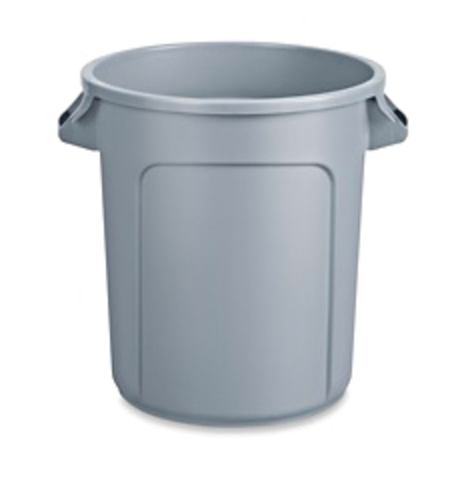 It is frequently used as a plastic for milk cartons, laundry detergent, garbage bins, and cutting boards. Ultrahigh Molecular Weight Polyethylene (UHMW) is an extremely dense version of polyethylene with molecular weights typically an order of magnitude greater than HDPE. It can be spun into threads with tensile strengths many times greater than steel and is frequently incorporated into high performance equipment like bulletproof vests. What are the Characteristics of Polyethylene? Now that we know what it is used for, let’s examine some of the key properties of Polyethylene. PE is classified as a “thermoplastic” (as opposed to “thermoset”), and the name has to do with the way the plastic responds to heat. Thermoplastic materials become liquid at their melting point (110-130 degrees Celsius in the case of LDPE and HDPE respectively). A major useful attribute about thermoplastics is that they can be heated to their melting point, cooled, and reheated again without significant degradation. Instead of burning, thermoplastics like Polyethylene liquefy, which allows them to be easily [injection molded] and then subsequently recycled. By contrast, thermoset plastics can only be heated once (typically during the injection molding process). The first heating causes thermoset materials to set (similar to a 2-part epoxy) resulting in a chemical change that cannot be reversed. If you tried to heat a thermoset plastic to a high temperature a second time it would simply burn. This characteristic makes thermoset materials poor candidates for recycling. Different types of Polyethylene exhibit wide variability in their crystalline structures. The less crystalline (the more amorphous) a plastic is, the more it demonstrates a tendency to gradually soften (i.e. they have a wider range between their glass transition temperature and their melting point). Crystalline plastics, by contrast, exhibit a rather sharp transition from solid to liquid. Polyethylene is a homopolymer in that it is composed of a single monomer constituent (in this case ethylene: CH2=CH2). Why is Polyethylene used so often? Polyethylene is an incredibly useful commodity plastic. Because of the diversity of PE variants it is incorporated into a wide range of applications. Unless it is required for a specific application, we don’t typically use Polyethylene as part of the design process at Creative Mechanisms. For some projects, a part that will eventually be mass produced in PE can be prototyped with other more prototype-friendly materials like ABS. PE is not available as a 3D printable material. It can be CNC machined or vacuum formed. Polyethylene, like other plastics, starts with the distillation of hydrocarbon fuels (ethane in this case) into lighter groups called “fractions” some of which are combined with other catalysts to produce plastics (typically via polymerization or polycondensation). You can read about the process in more depth here. PE is available in sheet stock, rods, and even specialty shapes in a multitude of variants (LDPE, HDPE etc. ), making it a good candidate for subtractive machining processes on a mill or lathe. Colors are usually limited to white and black. PE is not currently available for FDM or any other 3D printing process (at least not from the two major suppliers: Stratasys and 3D Systems). PE is similar to PP in that it can be difficult to prototype with. You are pretty much stuck with CNC machining or Vacuum forming if you need to use it in your prototype development process. In solid form, no. In fact, Polyethylene is often used in food handling. It could be toxic if inhaled and/or absorbed into the skin or eyes as a vapor or liquid (i.e. during manufacturing processes). Be careful and closely follow handling instructions for molten polymer in particular. What are the Disadvantages of Polyethylene? Polyethylene is generally more expensive than polypropylene (which can be used in similar part applications). PE is the second best choice for living hinges, behind PP at number one. What are the properties of PE?